Preno is very detailed in the data that we send through to Xero - this is so that you don't miss any payments that you're owed, and to make reconciling an easier process. If you're finding a lot of duplicate transactions, you may have items to void. To make it easy to find payments in Xero, Preno sends through the payment method name in the reference field of the payment. Reconciliation is a task that you have to do regularly in Xero. Some properties like to do it daily, weekly, or fortnightly. One of the contributing factors to you deciding on the frequency of your reconciliation is the length of time that it takes your merchant facilities to settle Visa/Mastercard Transactions. We generally recommend doing reconciliation daily, or up to 3 times a week, depending on how many transactions you have. This isn't a long task to do, and it allows you to address payment issues much sooner. It's easier to deal with issues now, rather than in a few months when the guest has left! You'll find this easier to do if you handle your Bills through Xero, too. Please note: this document is not intended to replace the advice of your accountant or bookkeeper. We strongly recommend working closely with your accountant/bookkeeper when you first come onboard to Preno. Payment Express/DPS sends through invoices & transaction fees on a separate transaction. Stripe sends their transaction fees bundled within the settlement. 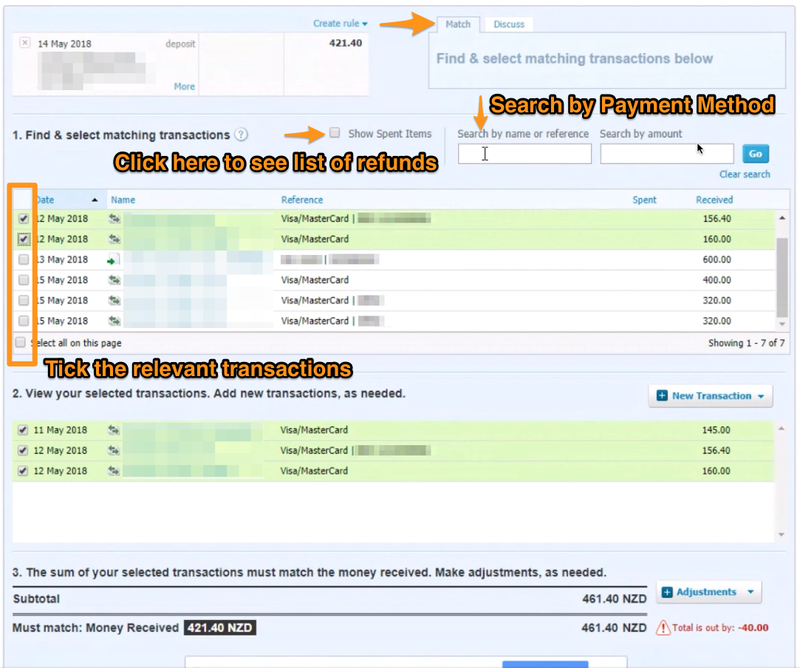 At the core of it, you'll be using Match in Xero during reconciliation, and ticking the relevant transactions for the reconciliation. To find your transactions, try search for Visa/Mastercard or EFTPOS. Do not use Create for reconciling your EFTPOS/merchant settlements anymore. If you do, then you will be doubling up on recorded revenue. Your accountant or bookkeeper can show you how this will change your reconciliation workflow. The subtotal should match the money received. There may be minor rounding differences, and you can handle those by creating an Adjustment for the difference. The transaction fees for your batch are included in the settlement. You will need to add a Bank Fee for the difference. Don't know what to enter? Ask your accountant or bookkeeper for the account that they'd prefer you to send the transaction fee to. What data does Preno send to Xero for reconciliation? 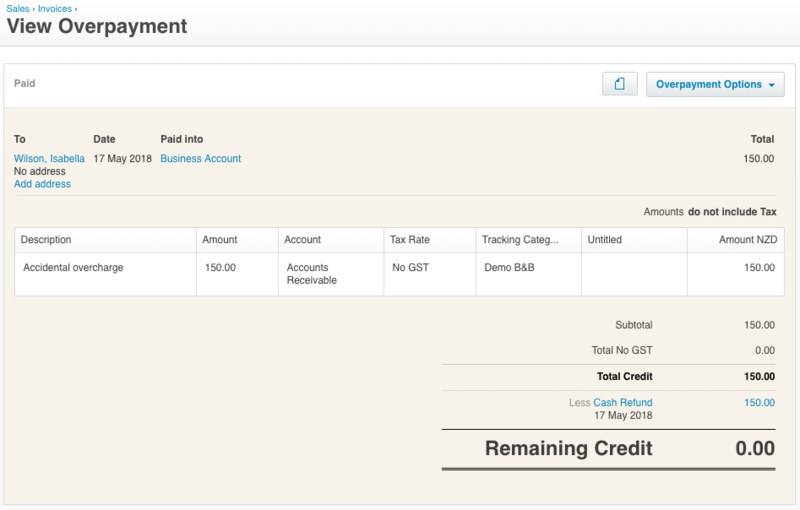 Payments on checked in bookings (usually taken when the guest is checked out), are sent to Xero as regular Payments, and applied to the guest's final invoice. These are created when you use the payment method Invoice Guest or Invoice Agent. Draft invoices should be approved & then sent to the Agent or Guest from within Xero. 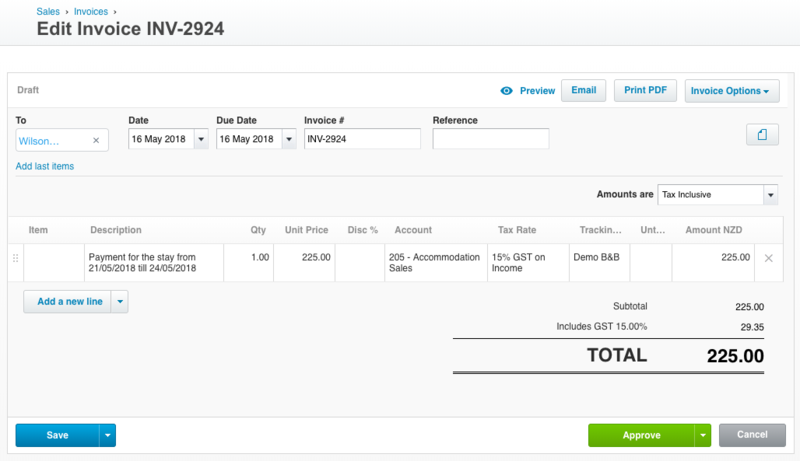 All payments recorded on bookings with a check-in date of tomorrow onwards (basically any booking in the future) are sent through to Xero as a Prepayment. 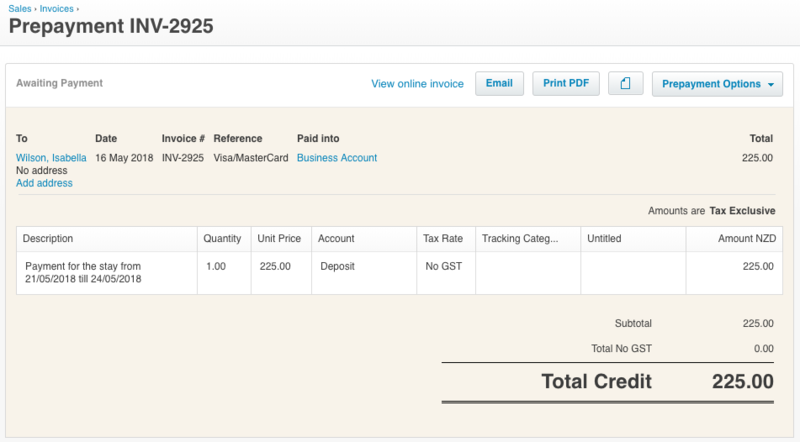 This is a Payment + Credit within Xero. If you accidentally overcharge the guest, any refunds on that transaction are processed as a Cash Refund on that prepayment. The reason for the refund (entered in Preno when the refund is processed) will be sent through as the Reference. 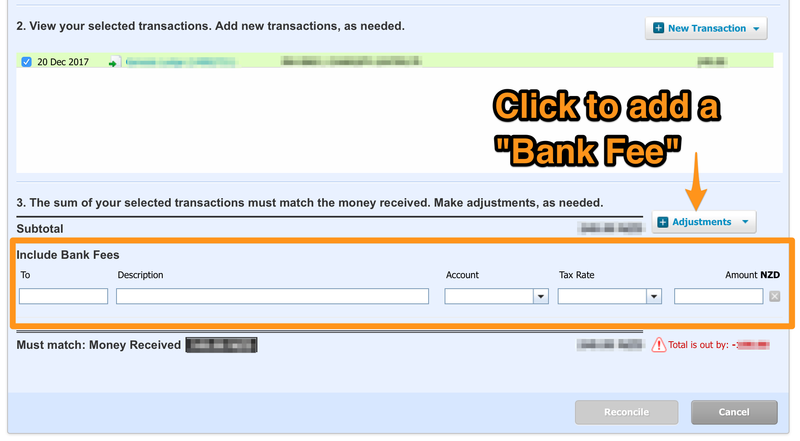 Receive that as a separate transaction in your bank feed (to reconcile all refunds together). Receive the refund within your normal batch settlement of transactions.